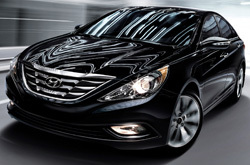 Have you ever wondered about the new Hyundai Sonata's features, specs and more?Find out below! There is a reason Vandergriff Hyundai is the chief Hyundai dealer in Fort Worth. We provide you with Sonata reviews by the best writers in Fort Worth. Filled with invaluable material and specs, each passage gives you full access to everything the Hyundai Sonata has to offer. Read on to see if the Sonata is right for your garage. Comparing the 2013 Hyundai Sonata alongside against vehicles like the 2013 Kia Optima, Mazda 6, Nissan Altima, Toyota Camry and the Ford Fusion, and you will see that the 2013 Sonata outperforms the competition in quite a few areas. Pay attention to our bullets to see why! Vandergriff Hyundai auto repair service in Fort Worth is only a click away! Your Hyundai deserves to be treated properly - that means Hyundai factory- trained technicians, legitimate 2013 Hyundai Sonata parts, and the bliss that comes from a 12-month service work warranty. 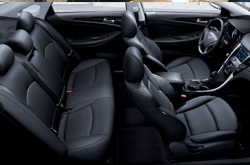 With maintenance from Vandergriff Hyundai's car repair masters your Hyundai will run properly. We can tackle any task you give us - from wiper blade or brake pad mends to regular oil and filter changes; we also handle the tough stuff, including Hyundai shock and strut repairs and more. Plus, you can anticipate receiving affordable service at our Hyundai auto repair center in Fort Worth. Click underneath this sentence to scope out the latest coupons with ridiculous savings!